In the midst of wedding planning, you may get lost in the details of your dress, the perfect venue, food and drinks, decorations, music, photography and video. It seems like there’s a million big and little decisions to make. Before you do one more thing, add a bridesmaid gift to your must-buy list because she’s undoubtedly standing by your side in the flurry of things to do. Of course, you’re not going to wing any old gift her way. You want to make her feel special, appreciated and loved. Here are three gift ideas to help you decide. You may have a pre-wedding session already planned, such as gathering your bridesmaids for a makeup and hair styling session. Many brides plan these special events when time and finances allow. Whether you skip this or add it to your list, why not add a post-wedding pampering time? Buy a gift certificate to a local spa for you and your closest girlfriends. Take advantage of special coupons, like from Groupon Coupons, to find promotions and deals on massages, facials, pedicures, and other beauty pampering. After a few months of wedded bliss, you’ll still need your time away with friends. It’s also a great way to stay connected as life can get busy with lots of mundane activities. If you’re taking the girls for a special pre-wedding makeup session, you could decide to purchase some of their wedding makeup products for them to use later. 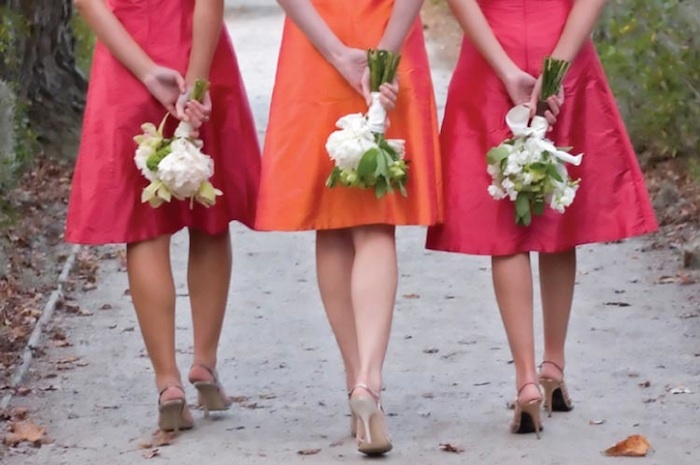 Here’s an even better idea: buy your bridesmaid a monthly beauty kit. Birchbox, founded in 2010, offers a monthly beauty kit filled with makeup and skin care samples. The box includes four or five premium beauty or skin samples to try. Of course, the full-sized products are available for purchase if your friend falls in love with some of the products. Imagine how much fun she’ll have trying new products. Every month, she’ll think of you when her new Birchbox arrives. It’s a memorable gift that will delight her month after month. There are so many choices in this category. You can choose something personalized with her name, such as choosing a gold pendant with her initials. You could also buy her earrings or a necklace that matches your wedding’s theme. Think about a pearl necklace or gold seashell earrings for a beach wedding. You can also find paired gold jewelry that separates for both of you to wear. You can find heart pendants or charms that disconnect for each of you to wear one piece. With some time and attention, you’re sure to find a treasured gift that she’ll treasure.